In December 2015, the Innovative Medicines Initiative (IMI) launched a Call for Proposals followed by a number of webinars on each topic of the upcoming IMI 2 7th and 8th Calls for proposals, as well as one webinar deemed to provide a better understanding of IMI’s rules and procedures. Those webinars were launched on the 11th of January 2016 with the last one scheduled to take place on the 29th of January. All webinars on the Call topics feature a presentation by the EFPIA topic coordinator and time for questions and answers. The webinars represent an excellent opportunity to learn more about the Call topics, interact directly with the topic coordinators, and get in touch with potential project partners. The webinar on IMI’s rules and procedures will also include presentations of IMI’s intellectual property policy and tips on the preparation of proposal submissions. 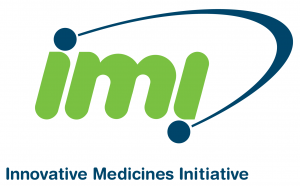 (IMI) is working to improve health by speeding up the development of, and patient access to, innovative medicines, particularly in areas where there is an unmet medical or social need. IMI facilitates collaboration between the key players involved in healthcare research, including universities, the pharmaceutical and other industries, small and medium-sized enterprises, patient organisations, and medicines regulators in order to boost pharmaceutical innovation in Europe. IMI is a joint undertaking between the European Union and the pharmaceutical industry association EFPIA.